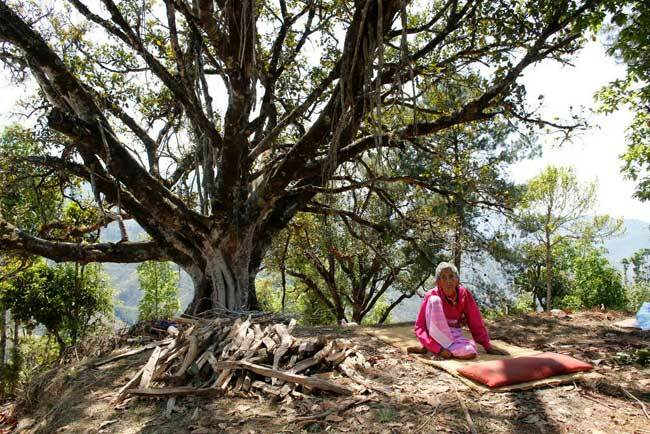 On the day of the Nepal earthquake in 2015, Thiramaya Garti Chetri was lying down alone in front her house on a mat and her daughter was working in the field. Thiramaya is 103 years old and lives in Thokarpa-7, Sindhupalchowk. She suddenly heard a really loud noise that she thought was a helicopter passing very low over her home – which was something unusual. She cannot walk by herself so people have to carry her from one place to another. But all the same she tried to limp to see the helicopter. This was when her house collapsed and she realised she had survived an earthquake. Within days of the April 25th earthquake Caritas launched a €2.6 million emergency appeal for funds to help people like Thiramaya cope with the aftermath. What people needed desperately was some form of shelter. Either because their homes were lost and damaged or because they were too afraid to sleep inside in case another strong tremor made their houses collapse, people were braving the elements and sleeping outside. Thiramaya was very lucky in the 2015 earthquake which killed almost 9000 people but she lost her home and many possessions. Caritas gave blankets, mattresses, cooking kits, water purification tablets and personal hygiene items soon after the disaster. She was also provided with corrugated iron sheeting for a temporary shelter. 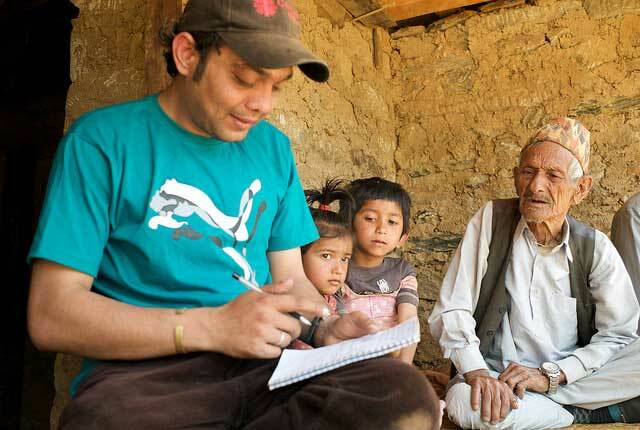 By November 2015 Caritas launched a €23 million programme to help Nepalese rebuild their lives. Over the course of three years, programme aims to do everything possible to help Nepalese have a stable life by providing shelter, cash-for-work, restoring safe water supplies and hygiene and sanitation facilities. There is also a focus on safety with investment in building communities’ resilience to future disasters and training in protection issues. Through this programme Thiramaya will receive a new earthquake-proof home in which she will have access to safe drinking water and sanitation facilities. Thiramaya is a survivor in many respects. She has outlived her husband, who also had a younger wife who died, and one of her sons. This wasn’t her first earthquake. She remembers the massive destruction inflicted by the 8.0 magnitude Nepal-Bihar earthquake which hit Nepal in 1934.